1951. Circleville, Utah. Indian grave robbers unearth a leather pouch and the legend of Butch Cassidy's vast cache of stolen treasure whispers to be more fact than fiction. A shady museum curator takes possession of the find, verifies it as belonging to Butch Cassidy, and becomes convinced that Butch's youngest brother, 69 year old Max Parker, holds the clue to the whereabouts of Butch's loot. But it is Butch's grand nephew, sixteen year old Roy Parker and his eclectic Boy Scout Patrol, that are forced to fend off the curator when they learn a belt buckle Roy has worn for years once belonged to Butch Cassidy, and is actually a map — a map made by Butch Cassidy. In a race for their lives, Roy and those forced to escape with him, race the Green River, unravel the mystery of an old train yard and discover a hidden mine, where they are finally led to 'Robbers Roost' and the real secret of Butch's treasure — a treasure that brings an unforeseen healing to a family split by decades of mystery and pain. My whole family enjoyed this movie. This is a good example of what I look for in entertainment for my family. I thought the acting was good and it had a great story with a good message. I would love to see more movies like this. My grandkids were restless in the van until I put this movie on. Within a few minutes they were riveted by the story and action, from the fifteen year-old down to the 4 year-old. Other than Secondhand Lions, probably the best family movie I've seen in the last five years. , I'm a big fan of Butch and Sundance, this is such a fun twist on that. , It's been in our DVD player since we bought it last week. Kids keep watching it over and over. This movie is great! I'm so tired of 'family movies' that are either cheesy or have something inappropriate in them. Outlaw Trail is clean, fun, and smart. It looks and feels like a big Hollywood production without the trash. Definitely watch this one. It's by the same people who did Saints and Soldiers which is my fav. LDS film! Great family movie. I really enjoyed it. Afterwards, I researched Butch Cassidy and was amazed at how accurate the movie was at portraying the legend. I totally recommend it. The kids will love it. The movie looked good and I liked the actors, but I was disappointed that this wasn't an LDS film as I was lead to believe by the advertising. It felt a bit like a children's movie, but I guess it's good to have a movie that the whole family can watch. Me and my family have watched it a couple of time and love it. It is hard to find a movie that everyone enjoys. Outlaw Trail was a great film. Our whole family loved it! It really brought the story of Butch Cassidy to life, and was surprisingly accurate! My husband, 18-year-old son, 13-year-old daughter, and I recently watched 'The Outlaw Trail' and really liked it. It was funny, was a good family movie and had a happy ending. My 13-year-old daughter liked it so much she's watched it a couple of times. 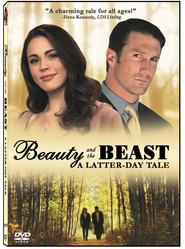 She would now like to own it (I rented it through Netflix after reading the review on it at Deseret Book). 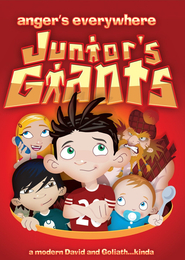 This is a great adventure with lots of fun for the whole family. 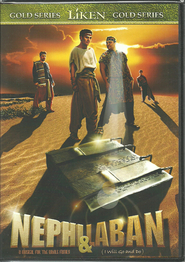 We never fast forward DVDs we buy - but we did on this one. Grown ups playing as kids and with guns too. This is a really cute movie. It's great for families. I would definitely recommend it to others. Loved it! It was such an easy and enjoyable movie to watch, Ryan Little is only just touching the tip of his creative abilities!